Currently it is very easy to access violated materials especially through the internet. And they are accessible even for your children. As a parents you are responsible for them, including the time you are not with them. ActivityMon products will help you with the knowledge what are your children doing. You will be informed about the CDs and DVDs inserted & played, programs installed & deinstalled, inserted USB flash disks, etc. find out what are your children doing on the computer in the time you are out of home. A lot of violated material is published on the internet and can be viewed by your children. Many people you will not probably like can also contact your children on chats. 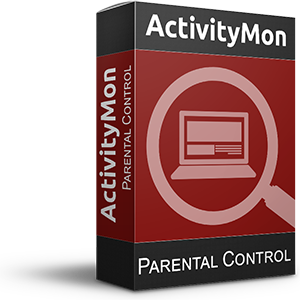 do not allow your children to spend the whole night in front of the computer - ActivityMon has the feature to automatically log off users in specified time interval. ActivityMon is able to monitor inserted media such as CDs, DVDs or USB flash disks. With this feature you will be able to find out who installed and then uninstalled some application (in the worst case the infected one). The list of played external media will be available to you too. was your critical data copied from the computer? Do you want to know who was logged in the critical time range? ActivityMon is the right application to monitor such things for you. check the communication of your children on internet chats, ICQ or Windows Messenger and generally on all chat clients. You never know who your child is going to meet on the chat. Both 32bit and 64bit platforms of listed operating systems are supported.